Olathe North High School senior Rigel Bales-Woods received the Congress-Bundestag Vocational Youth Exchange Scholarship. 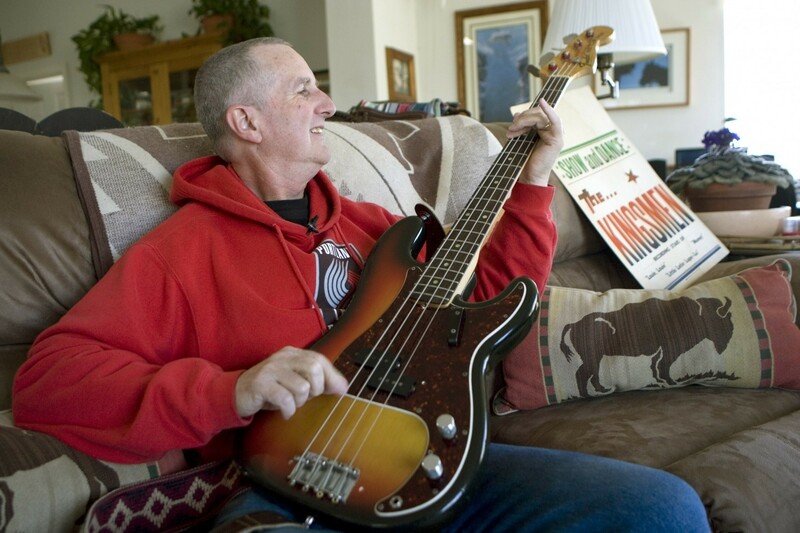 Jack Ely, the lead singer and rhythm guitarist of the Kingsmen, whose 1963 recording of “Louie Louie” became a defining song of the garage rock movement and whose unintelligible lyrics drew FBI scrutiny, died April 28 at his home in Redmond, Ore. He was 71. His son Sean Ely confirmed the death. “His religious beliefs didn’t incorporate medical stuff so we’re not really sure” about the cause of death, he said. “Louie Louie” was a three-chord rock song written and recorded in the late 1950s by Richard Berry, and its story involved a sailor telling a bartender named Louie that he wants to sail back to Jamaica and the girl he loves. With its infectious rhythm and facile chord changes, “Louie Louie” was the first song many aspiring teen bands learned. The band Rockin’ Robin Roberts and the Wailers recorded it in 1961. Garmin International Inc., one of the Kansas City area’s top employers, didn’t require GPS to find a place to expand. The firm, a leading global provider of navigation technology, appears poised to expand its 56-acre headquarters campus at the northwest corner of 151st Street and Ridgeview Road in Olathe. Olathe Police Department’s School Resource Officer Unit the night of Friday, April 27, conducted alcohol compliance checks throughout Olathe. These compliance checks focused on businesses that sell alcohol. The purpose of the operation was to insure they are checking customer’s identification and not selling alcohol to under-age individuals. Out of 52 establishments checked, 42 complied by asking for ID. Belton, Missouri native Tate Stevens will be the featured act on Saturday night of this year’s annual Frontier Days event in Edgerton. Stevens, who won the second season of the U.S. “The X Factor” in 2012, secured a $5 million recording contract. Stevens released his debut song “Holler If You’re With Me” in a commercial produced by Pepsi, which aired during the 2013 Grammy Awards. Tate Stevens’ self-titled debut album was released in 2013. The album debuted at number 18 on the Billboard 200 with 17,000 copies in its first week. The 43rd annual Edgerton Frontier Days will showcase a variety of entertainment during the two-day event on Friday, June 19th and Saturday, June 20th. 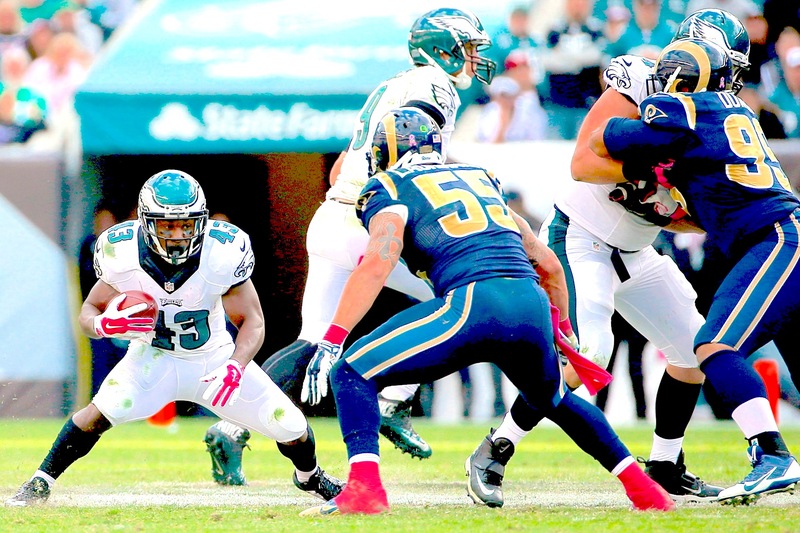 Darren Sproles on the loose in the NFL. You’re an NFL scout, and you need a running back. The draft is approaching when a scouting report comes across your desk, and it looks pretty impressive. Heisman Trophy finalist. Led the nation in rushing as a junior. Averaged over six yards per carry in college with over 5,500 total yards and 47 touchdowns. All-time leading rusher for a Big 12 school. Ran a 4.37 in the 40-yard dash. Sounds like a guy you’d have near the top of your draft board, right? Now, what if I told you he was only 5-foot-6? How far would you let him slide? That’s the dilemma teams faced when I entered the draft out of Kansas State in 2005. The only number scouts cared about was the one number I couldn’t control: my height. “If you were 5-foot-9, you’d be a top-five pick,” they said. But I wasn’t. I was 5-foot-6, which meant only one thing to scouts. Registration now is underway for the 34th Annual Olathe Kids Free Fishing Derby scheduled for 7:30 a.m. to noon, Saturday, June 20, at Cedar Lake Park, located south of 151st Street at 15500 Lone Elm Road in southwest Olathe.